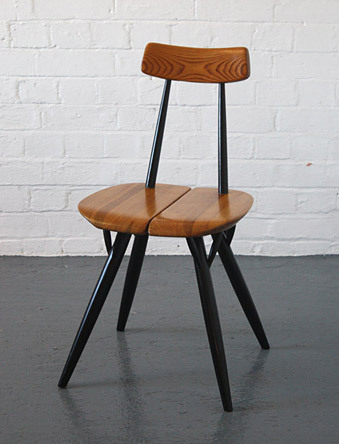 A Pirkka dining chair designed in 1955 by Ilmari Tapiovaara and made in Finland by Asko. 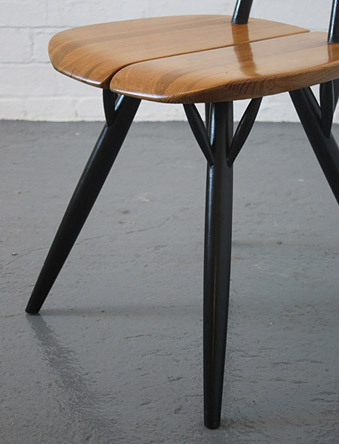 A classic Scandinavian design in solid pine with black ebonised legs. 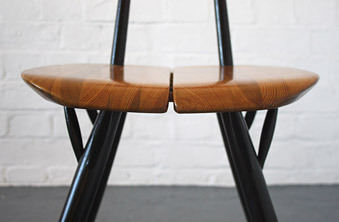 Recently refinished and in very good condition with a small area of damage to the backrest.